This is my monthly summary of my Debian related activities. If you’re among the people who made a donation to support my work (168.12 €, thanks everybody! ), then you can learn how I spent your money. Otherwise it’s just an interesting status update on my various projects. This month, I resumed my work on dpkg. I concentrated my efforts on some “polishing” of the “3.0 (quilt)” format. With the latest version (1.16.6 — which was uploaded to unstable shortly before the freeze), dpkg-source restores the source tree in a clean state after a failed patch application (#652970), doesn’t overwrite the patch header from the pre-existing automatic patch, updates automatically debian/source/include-binaries during dpkg-source –commit, and supports a new –no-unapply-patches option for those who dislike the auto-unapplication at the end of the process when the patches were not applied at the start. I wanted to go further and offer a new feature that could insert the automatic patch at the bottom of the quilt series but I have been short on time to complete this feature. I just managed to factorize all the quilt handling in a dedicated Perl module (Dpkg::Source::Quilt) to have cleaner code in the module handling the source format (Dpkg::Source::Package::V3::quilt). I packaged CppUTest (a test framework for C/C++), and I wrote an article about it. I prepared a stable update of Publican to fix a missing dependency. I also updated the unstable version to include a backport of a fix that some user requested me to include. I updated dh-linktree to improve its documentation (following a discussion that happened on debian-devel) and to deal properly with trailing slashes in its input (#673408). I sponsored dblatex 0.3.4-1 and ledgersmb 1.3.18-1. I updated gnome-shell-timer to a new upstream snapshot that was tagged as compatible with GNOME 3.4 (#6776516). 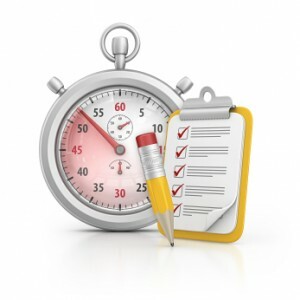 I packaged wordpress 3.4 and spent a whole day triaging the old bugs that accumulated. A few days later I developed a new infrastructure to properly manage plugins/themes/language files. The canonical directory where the user is expected to drop his custom plugins/themes is now in /var/lib/wordpress/wp-content/ and the official plugins/themes are “installed” there with symlinks pointing back to /usr/share/wordpress/wp-content/ where they actually reside. I wanted to commit 2 patches for the developers-reference but then I noticed that some translations were complete and were waiting for an upload. So I cleaned the packaging (switch to dh) and I uploaded version 3.4.8 before committing the patches for #678710 and #678712. #676606: debcommit should be able to identify alone that a new release is prepared (when the distribution field of the changelog changes from UNRELEASED to something else). #679132: lintian outputs false positives for the tag package-uses-local-diversion when neither –local nor –package is given on the dpkg-divert command line. 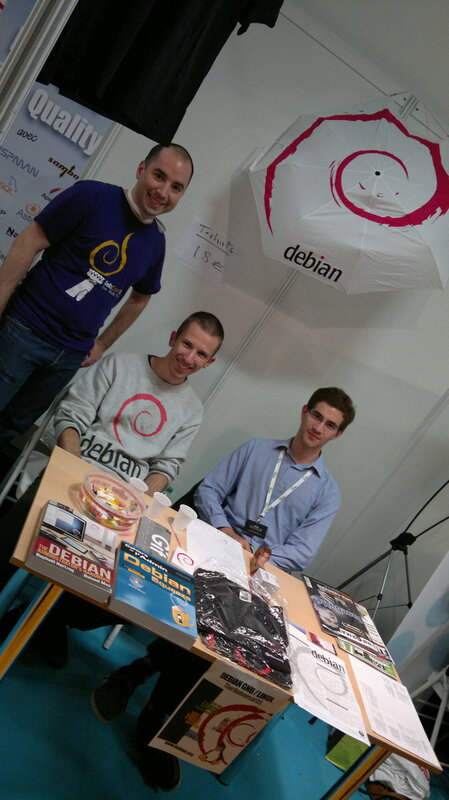 From June 19th to June 21th, I manned the Debian France booth at Solutions Linux together with Carl Chenet, Tanguy Ortolo and other members of the association. We answered lots of questions, sold all t-shirts and umbrellas that Carl imported from Germany and Switzerland (we really need to get our own merchandising stuff produced in France! ), got people to join the association. We also presented a printed copy of the Debian Administrator’s Handbook and of the corresponding French book. I know lots of people are preparing for Debconf but I decided to not attend this year, the price of the air plane ticket was a bit too hefty for me and it was also in partial conflict with our family vacations. I thought about attending the Libre Software Meeting instead but alas I won’t go there either (but Roland Mas will be there! ), I have too much work to complete before my own vacation in 2 weeks. Looks like 1.16.6 missed freeze deadline by some hours, so that freeze exception is needed. The relevant changes were also in 1.16.5 but yes that version existed only for a few hours so we will have to get this updated.